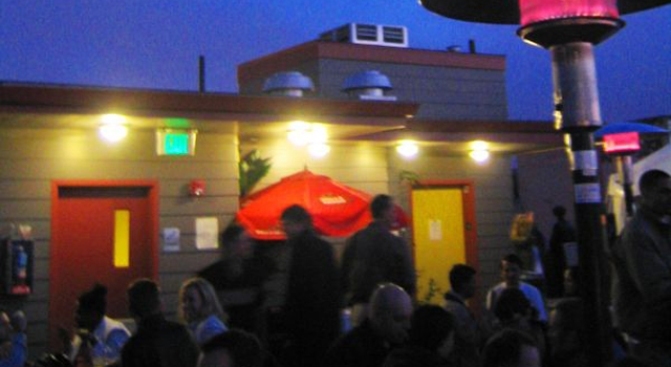 The owner of the city's only rooftop bar is having some issues trying to keep it open. There's a new Facebook campaign to save the Mission's Medjool — or its rooftop terrace, anyway, following the realization that the only rooftop bar in town is in violation of planning code. 'Course, without the terrace, Medjool wouldn't really be Medjool, would it? And thus, reads the Facebook page, "Medjool will have no choice but to close its doors for good and lay off over 60 hard-working employees" if its permit is revoked. But the story only gets better! The Snitch notes (follow us on our six degrees of Gavin Newsom trail here) that the page was created by Justin Roja, an employee of what sounds like a PR/lobbying firm created by Alex Tourk, Gavin Newsom's "right-hand man." And Gavin, as has been widely noted, has been a beneficiary of fundraising led by Gus Murad, owner of Medjool, the accidentally too tall New Mission Theater condos, and the perhaps-in-violation Elements hostel. Planning Department, where you at?